Halloween may be over, but fall is still very much in the air! Slow the season down and savor autumn a bit more before Christmas rolls around. At the Fall Fair, rides, games and other family fun will be plentiful, but it’s only open for a few short days – don’t miss out! Living in warm, sunny Florida doesn’t mean there’s no time for winter magic! Starting Friday, November 10th and lasting through January 7th, the Shops at Wiregrass will open their annual outdoor, synthetic ice skating rink. Kids and adults of all ages and skill levels are welcome to use the rink. Bundle up, head out for an evening on the ice and give your kids a taste of classic winter time traditions! Symphony in Lights presented by CalAtlantic Homes is one of the most anticipated holiday events in Wesley Chapel. Hosted by the Shops at Wiregrass, the 5:00 p.m. event premier takes place on Saturday, November 11th, when the annual tree lighting ceremony and Santa’s arrival will also occur to kick off this wonderful tradition! Symphony in Lights is a choreographed light show set to holiday music by the Trans-Siberian Orchestra. The light show isn’t the only attraction, though! As you enjoy the music, you and the family will get to enjoy snowfall as well. Symphony In Lights will last all season long with showings every hour, on the hour between 6:00-9:00 pm through New Year’s Eve! Beginning with the Symphony In Lights, Santa will be available for visits and photos. Be sure to check the schedule to see what days he’ll be around! Wait, wait, wait! Don’t forget Thanksgiving! 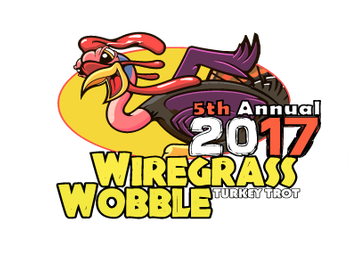 Come out to the 5th Annual Wiregrass Wobble Turkey Trot on Thanksgiving Day at 7 a.m. for some Turkey Day fun while doing good, as all event proceeds contribute to local charities. Whether you’re looking to participate in the hard-core 5k run, or just want to have some fun on the 1-mile fun run, come out and enjoy this holiday kickoff. Take your family out for some live drama and enjoy the timeless Christmas classic re-envisioned as a radio drama. The Dream House Theatre in Lutz, just minutes from Wesley Chapel, will be putting on a captivating radio performance. Taking the family to the heart-warming show, sip some hot cocoa, sing Christmas carols after the show and fully get in the Christmas spirit!